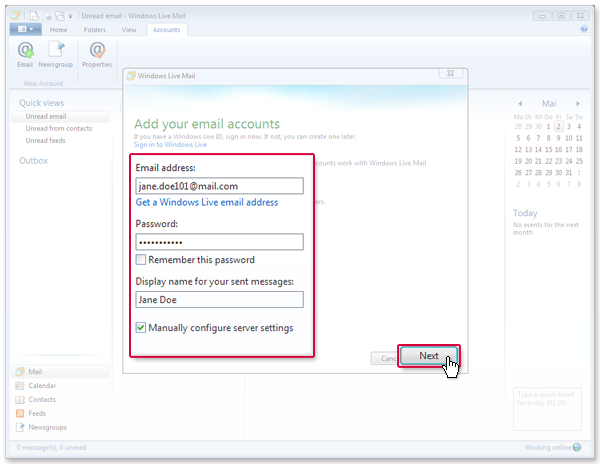 Retrieve your e-mail from your mail.com mailbox with Windows Live Mail. Your e-mail will be sent to your application through POP3 whenever you want. 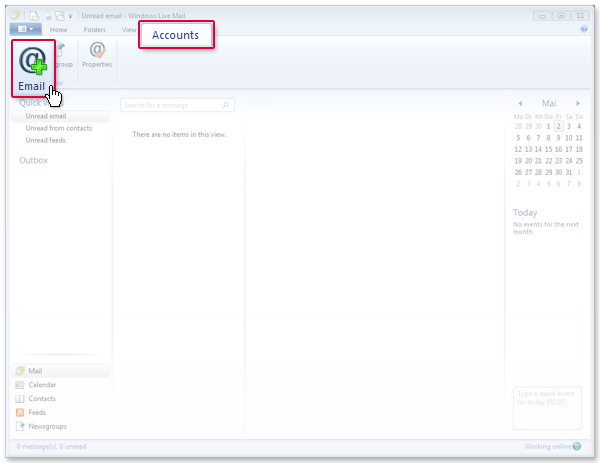 Select Accounts and then E-mail. 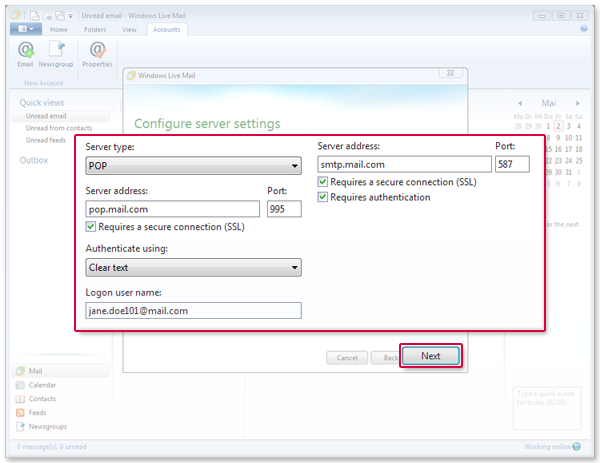 Choose the server type POP and enter the server address pop.mail.com and the port 995. Check Requires a secure connection. Enter the the server address smtp.mail.com for the outgoing server and port 587. Check each box for Requires a secure connection and Requires authentication. Click on Next. Windows Live Mail retrieves the e-mail from your mail.com mailbox.